The Tudor Black Bay Chrono artfully combines nautical and racing themes, and the new eye-catching two-tone steel and gold version puts some classic beauty in a modern fan favorite. 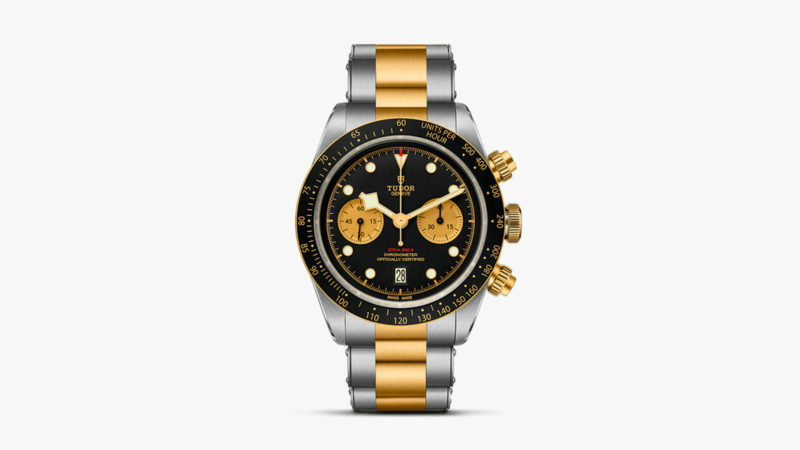 The gold accents are pretty bold; in fact, the crown and chronograph pushers are entirely yellow gold, as of course are the chronograph registers, chapter ring, and tachymeter scale. 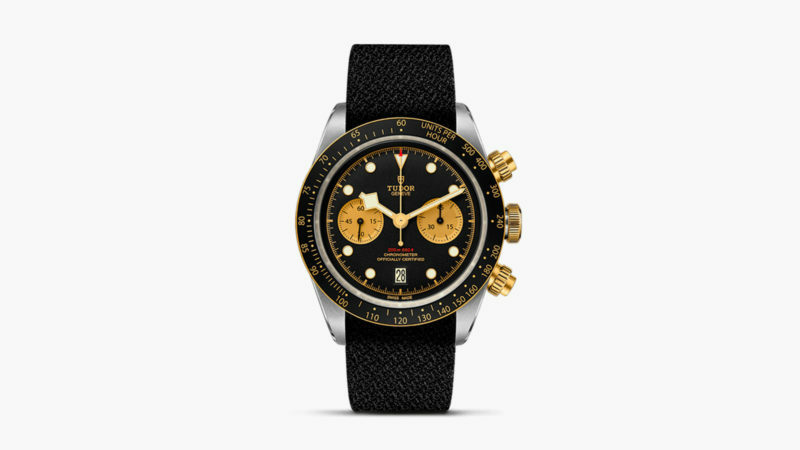 The 41mm Tudor Black Bay Chrono S&G features a COSC-certified, Breitling-developed calibre MT5813 automatic movement with a 70-hour power reserve, domed sapphire crystal, 200 meters of water resistance. 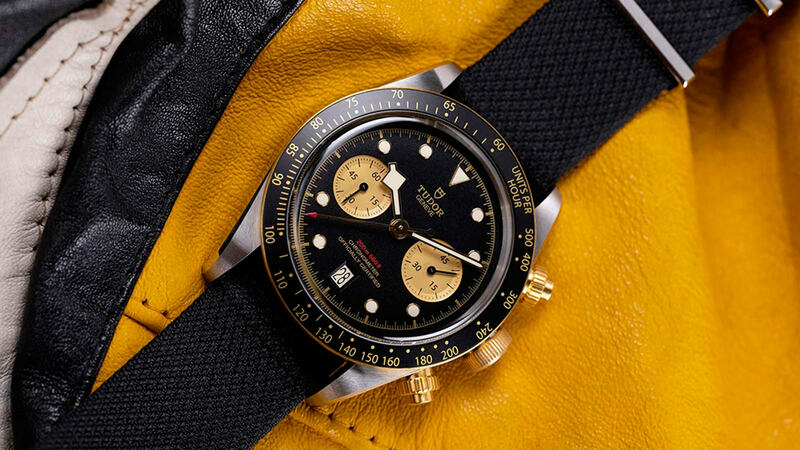 Its black and yellow colors can be easily matched with the available strap options: brown leather bund strap, black fabric strap, or two-tone steel and gold bracelet. Equally at home on the wrist of someone sailing a catamaran yacht or a reserved gentleman occasionally wanting to showcase some accent, the Tudor Black Bay Chrono S&G promises to make waves (terrible nautical pun intended) wherever it is worn.